2019 Cedar Rapids Independent Film Festival! Cedar Rapids Independent Filmmakers hosted the 18th Annual Cedar Rapids Independent Film Festival on Friday and Saturday, April 12 and 13 at the Collins Road Theatres in Marion, Iowa. The Festival showcased the work of filmmakers from across the state and around the world. In accordance with CRIFM's stated mission, all the films screened featured stories or filmmakers with strong connections to the Hawkeye State. CRIFM's Executive Director Scott Chrisman was impressed with this year's slate of films. "Iowa's filmmakers continue to tell engaging stories," he said. "The films this year covered the gamut of the human experience and represented Iowa in some very heartfelt ways. A theme this year was characters trying to be the best version of themselves or reaching out to improve their local world." Gold and Silver Eddy Awards were presented to Professional, Professional-Amateur and Student filmmakers in Feature, Short Form, Documentary, and Freestyle categories. And the Eddys went to . . .
On Saturday afternoon, April 13, filmmakers Scott Beck and Bryan Woods will discuss with us their journey from backyard filmmakers as children to writing, producing, and directing in Hollywood. After meeting as sixth-graders in their hometown of Bettendorf, Iowa and making films with their Star Wars action figures they worked together on many feature and short films. Along the way creating the concept and screenplay for 2018's smash hit, A Quiet Place, which grossed over $340 million worldwide and earned them nominations with the Writers Guild and the Critics Choice Awards. Under the banner of production company Bluebox Films they were CRIFF Official Selections and award winners numerous times in the 2000s, while also attending the University of Iowa. They landed a development deal with MTV Films and moved to California where they continue to write, direct and produce films, commercials, and television content. Upcoming projects include THE BOOGEYMAN for 20th Century Fox and 21 Laps, based on Stephen King's iconic short story of the same name. The duo is also currently in post-production on the thriller HAUNT and developing a project that they will write and direct for Paramount. Beck & Woods were named by Variety on their annual "10 Screenwriters to Watch" list, and they are recipients of the Writers Guild of America Evan Somers Memorial Award for distinction in writing characters with disabilities for A QUIET PLACE. An Indian immigrant in Kansas is shot and killed in a senseless hate crime, leaving his wife to grapple with the question of whether America is truly her home. After this tragic event Srinivas Kuchibhotla's widow, Sunayana Dumala, was faced with not only the loss of her husband, but complications that arose with her own immigration status now that he was gone. This film explores these events and the subsequent attempts to find healing. 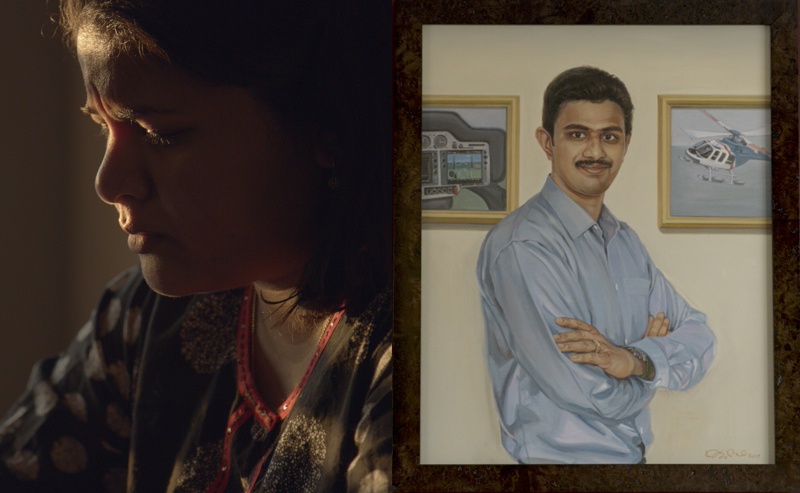 Following the screening, there will be a panel discussion with Sunayana Dumala, Srinivas' wife; Sarika Bhakta of Nikeya Diversity; and Bhumika Nayak and Kanu Salaria, Srinivas' friends and co-workers. They will share their viewpoints on immigration, advancing diversity awareness, inclusion, and related educational training in trying to establish better relationships and increase understanding among the many populations that are interacting with each other in the workplace and everyday life. Join us on Saturday April 13 at 2:30 p.m. for this screening and panel discussion as part of the CRIFF Saturday Afternoon Session and included as part of a full-event pass. Sharpen your production skills during a new series of classes brought to you by Produce Iowa-State Office of Media Production. Taught by industry pros, these hands-on workshops will teach you all about grip and electric skills, proper set etiquette, sound mixing and more. Registration is now open and more information about these Saturday classes to be held 4/13/19 in Cedar Rapids can be found on their website. 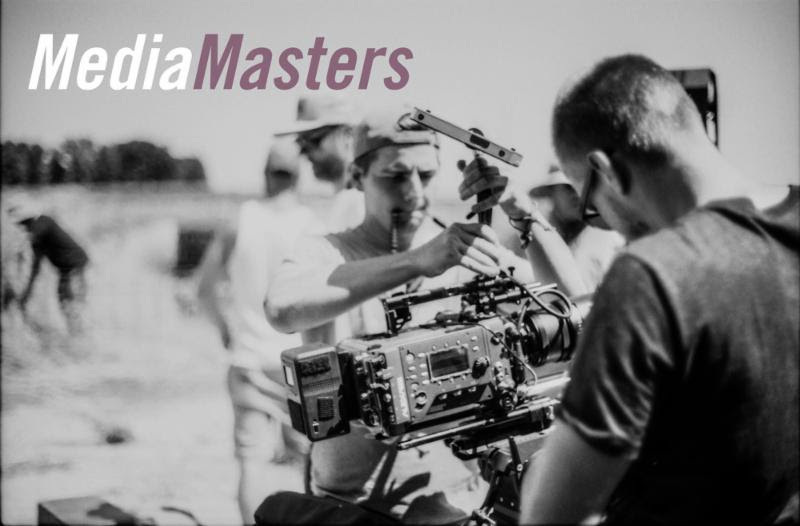 CRIFM is excited to partner with Produce Iowa and offer two MediaMasters classes in conjunction with the Cedar Rapids Independent Film Festival.